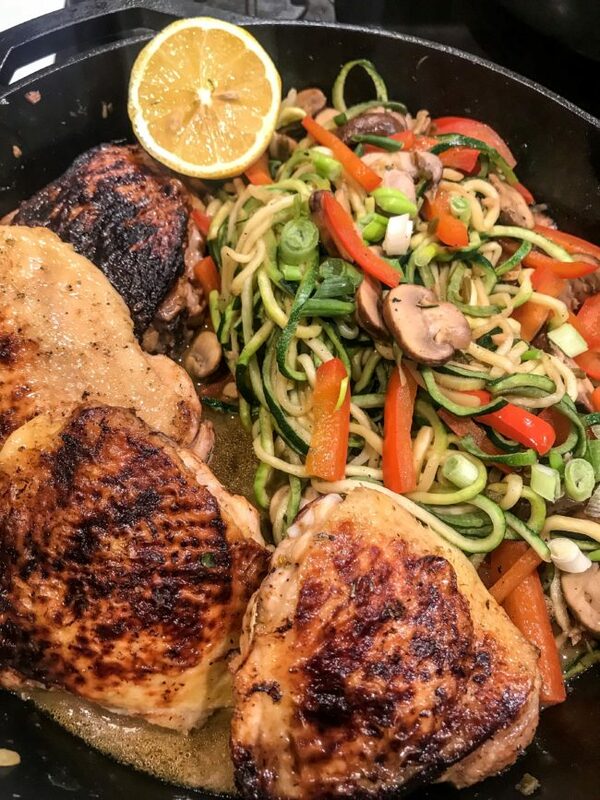 Last night’s healthy dinner of Lemon Butter Garlic Chicken Thighs with Zuchini Noodles caused quite a stir on Instagram @jackieunfiltered_ and Facebook. 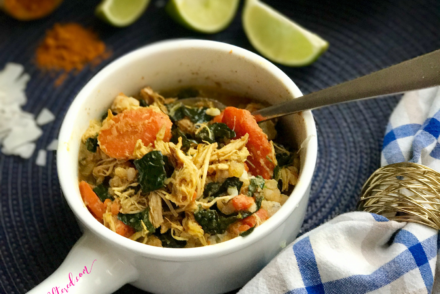 So much so that I decided to write this easy and flavorful recipe up and pop it here on the blog for all of you. You’re welcome! In advance, excuse the quality of food photography here. The dish was so good that #Hubbs and I devoured the pan meaning no leftovers today for proper pics. 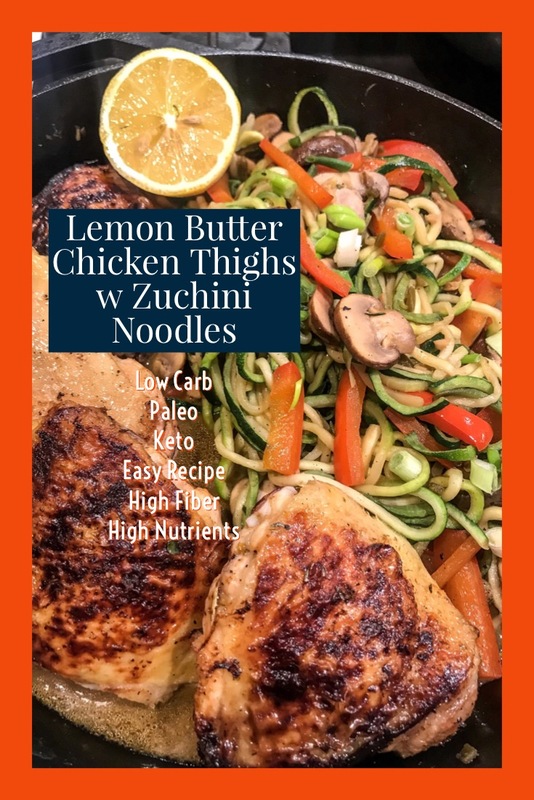 This low-carb/paleo/keto/healthy recipe is straightforward using common kitchen techniques, ordinary spices found in most kitchens and inexpensive and easy-to-find ingredients. The key to culinary success here is marinating the chicken for at least 30 minutes, making sure your vegetables are chopped and ready before you begin (French culinary technique called mise en place) and watching your cooking times so nothing is over- or under-cooked. I use healthy fats in this recipe, Ghee and Coconut oil, which both have a high burn rate. I also use a little butter for the vegetables as well. If butter offends your sensitive sensibilities then use olive oil or another oil such as avocado. However, I will caution you before you make the swap. Unless you have a heart condition or a doctor has advised you to watch your cholesterol and fat then you should be fine with the butter. 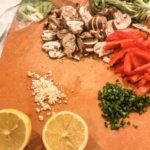 I suggest you try the recipe as written as the butter adds a subtle richness to the Zuchini Noodles. This is one of the tips used by the French when cooking. Make the vegetables taste so darn decadent that you don’t even miss the starch. Whatever you decide, please, for the love of everything that is holy and right, don’t go stone cold crazy and use one of those ghastly butter substitutes like “I Can’t Believe it’s not Butter.” Um yes, we all can. 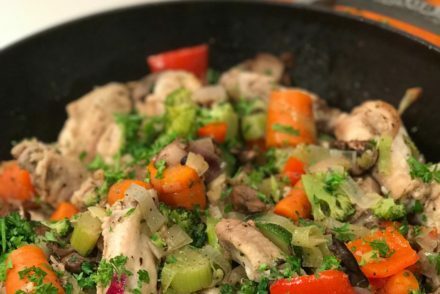 The lemon, butter, garlic and herbs marry with hearty chicken and savory herbs to create a delightfully healthy dish that is perfect anytime of year. I will issue a fair warning that the tangy and herbaceous sauce would make even dirty cardboard taste good!!! You won’t even miss those pesky white carbohydrates that have zero nutritional value. This isn’t some unapproachable culinary masterpiece. 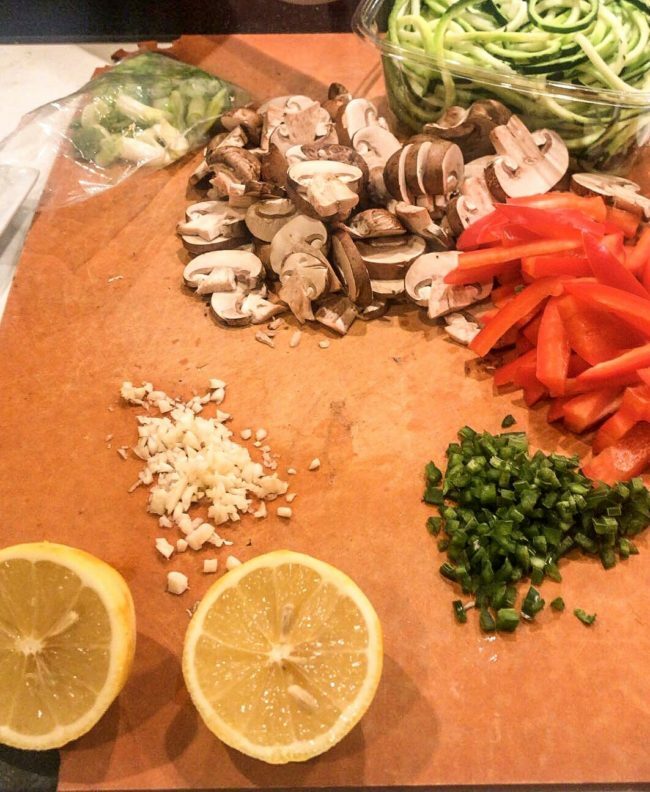 Just good food made from healthy and fresh ingredients. If you are missing an ingredient, leave it out or swap it for another. My only requirement is that you consider using butter and ghee as they provide the silky richness to the dish. Gently combine all marinade ingredients in a sealable container or zip lock bag (save the earth and use a glass container if you can). Gently turn chicken in marinade several times. Either marinate chicken on the countertop at room temperature for 30 mins or up to 24 hours in the refrigerator. 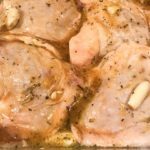 If marinating overnight, let chicken sit at room temperature for at least 15 minutes before cooking. Heat ghee and coconut oil over medium-low heat in a large heavy pan (preferable cast iron). Using tongs, gently place chicken in the pan skin side down. Place another pan or a grill press on top of the chicken to weight it down. Set a timer and don’t touch that chicken for 7 minutes!!! Using tongs, gently turn chicken to the other side and let cook for another 5 minutes. Remove to a plate and let chicken rest. WASH AND PREPARE ALL VEGETABLES BEFORE YOU BEGIN THE NEXT COOKING STEPS. 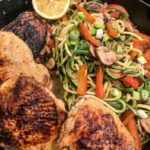 IF YOU TRY TO CHOP, DICE AND CLEAN WHILE COOKING THE VEGGIES THEN EITHER YOUR GARLIC AND BUTTER WILL BURN, YOUR ZUCCHINI NOODLES WILL BE OVERCOOKED AND MUSHY, OR WORSE, BOTH OF THESE KITCHEN CATASTROPHES WILL OCCUR. I HAVE FOREWARNED YOU. DON’T BLAME JACKIE. Wipe out the pan used to cook the chicken. Return pan to stove. On low heat, melt 1 tbsp butter. Add garlic, lemon juice and hot sauce to the melted butter. Sauté, turning frequently, until garlic is fragrant. About 1-2 minutes depending on the freshness of your garlic. Add jalapeño and saute for another minutes. Add sliced red peppers and season with with salt and pepper. Sauté for 1 minute. Turning occasionally. Add mushroom and season with salt and pepper. Sauté for 1 minute. Turning occasionally. Using tongs, gently fold in Zuchini Noodles. Be careful as the noodles are delicate. Season with salt and pepper and cook for no more than 3 minutes, gently turning occasionally to soak the noodles in the pan sauce. You want the noodles under-cooked and not over-cooked. Remove pan from heat and gently fold in additional butter, hot sauce and any chicken drippings from the plate holding the cooked chicken. You can certainly omit this step but you will be sorry as this creates the silky finish that we all know and love. Serve immediatly garnished with a lemon. If somehow you have any leftovers (we did not) then store in an airtight container in the refrigerator for lunch or dinner tomorrow. As always, thank you for stopping by Jackie Unfiltered. 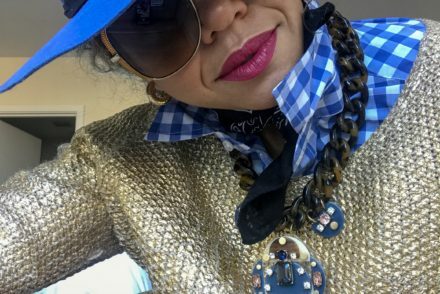 I am still not shopping for the first 6 months of 2019. I will write a blog post and let you know how that’s going later this week. Until then, happy cooking and have a great week!